This year bankers were paid over £10billion in bonuses. At the same time jobs and public services are at risk in the UK while many other developed and developing countries face a similar struggle. Across the world ordinary people are paying the price for a crisis they did nothing to cause. We know there are a few ‘wise’ men in the banks who have the power to perform miracles and this festive season we want everybody to send them our Christmas wish list. We don't want a new X-box and you can forget the socks - we want University fees kept down, we want our local libraries to be kept open and we want to end poverty in the UK. This year has been a tough one for all of us and we need a break. It's time these 'wise' men and their institutions were made to pay their fair share and make poverty in the UK and overseas a ghost of Christmas past. The Robin Hood Tax is a simple idea that could change our world, not just for Christmas but for life. 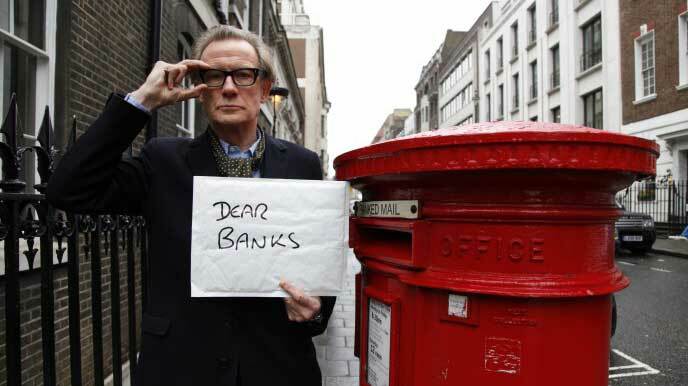 All of your letters will be delivered to one of the big banks in person by Sherwood's Santa. We’ll let you know how it goes.